Scrum Master Certification (SMC™) is for professionals that already have a practical, working knowledge of Scrum. 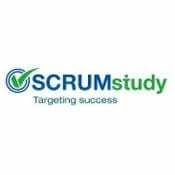 The objectives of the course are to equip the student with the Scrum skills necessary to be a leader. The Scrum Master must be able to lead a team throughout projects, clear impediments and guide Scrum practices in different team scenarios. There is no formal prerequisite for this certification. However, it is preferable to complete the Scrum Developer Certification (SDC™) before applying for the Scrum Master certification.